I've tried other sesame oils and extra virgin is the way to go. Ellyndale Foods Organic Extra Virgin Sesame Seed Oil by NOW has a wonderful aroma and smooth flavor. Perfect for Cooking‚ Frying or as a Dressing! Add bold‚ savory‚ nutty flavor to your favorite dishes. This versatile‚ light‚ premium oil is unrefined and expeller pressed to retain its wonderfully complex flavor and aroma. It’s excellent for cooking‚ frying‚ or in dressings and marinades. 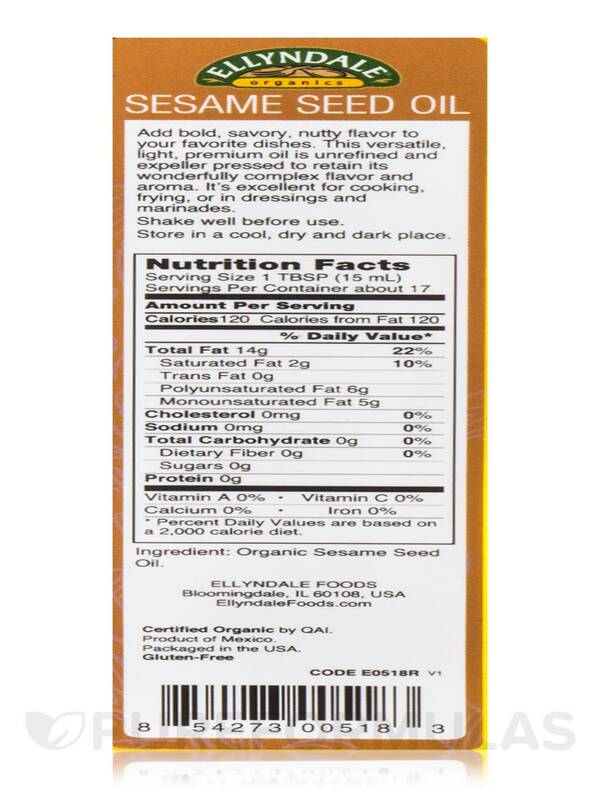 Ingredient: Organic sesame seed oil. USDA Organic / Non-GMO / Gluten-Free. Store in a cool‚ dry and dark place. Excellent quality. Not refined and over processed like some other brands.